This vitamin is so abundantly available that it is rare to be deficient in it. And what is rarer is finding someone who knows all about this wonder vitamin – the benefits of vitamin C. And that’s true, isn’t it? Not all of us know what this vitamin has to offer us. Hence, this post. Keep reading. What Is Vitamin C And What Does It Do? What Is Vitamin C Deficiency And What Are The Signs? What Are The Benefits For Skin? What Are The Benefits For Hair? What Are The Dietary Sources Of Vitamin C? What About Vitamin C Supplements? How To Take Vitamin C? What Is The Recommended Daily Intake Of Vitamin C? Any Precautions To Be Taken? Also known as L-ascorbic acid, vitamin C is a water-soluble vitamin that is naturally present in some foods and added to a few others. And unlike most animals, humans cannot synthesize this vitamin – which is why it is an indispensable dietary component. Vitamin C is an antioxidant that helps regenerate other antioxidants in the body. It improves the absorption of non-heme iron and plays a vital role in building connective tissue and wound healing. It also delays the damaging effects of free radicals on the skin and body. At a moderate intake of 30 to 180 mg a day, 70 to 90% of the vitamin is absorbed. When the intake goes beyond 1 g a day, the absorption falls below 50%. In case you are taking supplements, the optimal daily intake is 500 mg.
Ascorbic acid – The purest form of vitamin C.
Sodium ascorbate – 1000 mg of this vitamin contains 111 mg of sodium. Calcium ascorbate – 1000 mg of this vitamin contains 90 to 110 mg of calcium. Magnesium ascorbate – Daily intake of magnesium must not exceed 350 mg.
Potassium ascorbate – Daily intake of potassium must not exceed 11 grams. Manganese ascorbate – Daily intake of manganese must not exceed 11 mg.
Zinc ascorbate – Daily intake of zinc must not exceed 40 mg.
Molybdenum ascorbate – Daily intake of molybdenum must not exceed 2 grams. Chromium ascorbate – The maximum daily intake of chromium has not been established. But the RDA is between 50 and 200 mcg for adults and teenagers. Except for sodium ascorbate and calcium ascorbate, the other forms of vitamin C are more likely to be found in combination with other mineral ascorbates or other minerals. Taking adequate vitamin C not only prevents these signs, but offers numerous other benefits as well – which is what we will see now – the many functions of vitamin C.
As per one American study, vitamin C might play a role in reducing heart disease risk. Multiple cohort studies have demonstrated that higher plasma levels of vitamin C could be linked to reduced heart disease risk (1). More studies state that vitamin C could be as good as exercise for your heart. A regular dose of vitamin C can hinder the activity of a protein named endothelin-1, which leads to the constriction of small blood vessels – and this eventually causes heart attack (2). The vitamin can also lower your blood pressure and keep your arteries flexible. Vitamin C was also found to help the arteries dilate under stress – this improves blood flow, and hence, its oxygen carrying ability as well. Another Indian study states that fruits and vegetables rich in vitamin C can prevent heart disease. The study says that a vitamin C-rich vegetarian diet can reduce blood cholesterol by 1%, which reduces the risk of heart attack by 2% (3). Vitamin C supplementation was also found to lower serum cholesterol levels, and this could help avert coronary heart disease (4). As per a report by Johns Hopkins Medicine, large doses of vitamin C can lower blood pressure. This function of vitamin C could be attributed to its physiological and biological effects. Vitamin C acts as a diuretic and causes the kidneys to remove more sodium and water from the body – this relieves the pressure on blood vessel walls (5). Vitamin C also protects your body’s supply of nitric oxide, a molecule known to relax the blood vessels (6). The blood pressure lowering effect can be attributed to supplements as well – consuming vitamin C supplements in a dose of 500 mg in a day could reduce systolic blood pressure by 4 points and diastolic blood pressure by 1.5 points – in a period of 2 months (7). Vitamin C, according to another Italian study, also enhances vasodilation (the dilation of blood vessels that decreases blood pressure) (8). And it even prevents vasoconstriction. A deficiency of vitamin C reduces the body’s resistance against certain pathogens (9). As per a study, vitamin C stimulates the immune system by enhancing the strength and protection of the organism (10). In addition to protecting the immune system, vitamin C also reduces the severity of various allergies and fights off infections. It achieves this by enhancing T-cell proliferation in response to the infection (11). It has also been found that individuals suffering from wounds could accelerate their healing process by an optimal dose of vitamin C (12). The nutrient had improved the quality of the newly synthesized collagen, thereby quickening the process of wound healing. And coming to common cold, though more research is required, vitamin C has been found to reduce the duration of the cold (13). We don’t know yet if the vitamin can protect against a cold – but it sure does reduce how long the cold lasts. Vitamin C might also be a potential treatment for asthma (14). However, more research is required in this aspect. Numerous laboratory studies have shown that high doses of vitamin C can slow down the growth of prostate, liver, colon, and other types of cancer cells (15). Higher concentrations of vitamin C might also help in cancer treatment. The intravenous administration of a type of vitamin C to inoperable patients with cancer resulted in a significant reduction in tumor volume without any side effects. Ascorbate also killed cancer cells, as noted in numerous studies (16). Another report by Cornell University had stated that vitamin C halts aggressive colorectal cancer (17). According to the Arthritis Foundation, vitamin C can help prevent some forms of arthritis. But too much of it might worsen some other forms of the condition – which is why finding a balance is key. Getting the right dose of vitamin C helps prevent inflammatory arthritis and maintains healthy joints with osteoarthritis (18). Research also states that people with the lowest levels of vitamin C would be three times more likely to develop inflammatory arthritis (19). But as we already discussed, taking note of the dosage is important. Dietary intake of vitamin C exceeding the RDA recommendation (90 milligrams per day for men and 75 milligrams per day for women) might worsen arthritis symptoms (20). Evidence also suggests that vitamin C intake can lower the risk of cataracts. The vitamin, when taken with other essential nutrients, can prevent age related macular degeneration and visual acuity loss (21). In fact, people with a high intake of vitamin C have 20% lower risk of cataracts. It also fights oxidative stress by preventing the free radicals from causing molecular damage to the lens tissue in the eye (22). Vitamin C could also extend the proper functioning of your retinal cells as per studies. This vitamin also supports the health of the blood vessels in your eyes. Vitamin C might also aid in the regeneration of vitamin E in the eye, which further enhances eye health (23). Regular intake of vitamin C can also aid in the treatment of uveitis (inflammation of the middle layer of the eye, also called uvea) (24). According to an American study, vitamin C might help treat preeclampsia (high blood pressure during pregnancy) (25). However, further studies are warranted. Even oxidative stress could be responsible for preeclampsia. And since vitamin C helps combat oxidative stress, it can also help prevent this condition (26). Vitamin C might also help terminate an unplanned pregnancy (abortion). Certain sources suggest that the vitamin can induce heat in the uterus and achieve this. But there is limited research on this. Deficiency of vitamin C can also cause periodontal disease, a severe form of gingivitis (gum disease) (27). This is because low levels of vitamin C can weaken the connective tissue and easily break down the capillaries. In fact, one early sign of vitamin C deficiency is bleeding gums. 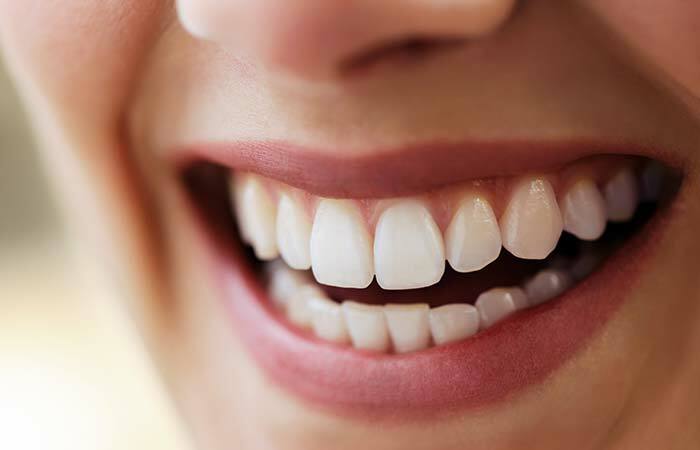 And the vitamin is responsible for the health of teeth and gums (28). It is important to know that allergies are caused when your body releases histamine, a biochemical. Vitamin C intake reduces the release of histamine, thereby preventing allergies. As per another Japanese study, autoimmune disease and the related allergies can also be controlled by vitamin C (29). Vitamin C was also found to aid in the treatment of hay fever (also called allergic rhinitis) (30). Certain sources suggest that vitamin C helps prevent and even treat dry mouth. However, there is limited evidence in this aspect. Regular intake of supplementary vitamin C (1000 mg) was shown to regulate blood sugar levels in patients with type 2 diabetes (31). Vitamin C can also prevent diabetes-related damage to your blood vessels. Another Japanese study states that diabetes can be controlled by vitamin C treatment (32). The vitamin was found to stimulate insulin mechanism, thereby aiding in the treatment. Vitamin C was also found to reduce fasting blood glucose in patients with type 2 diabetes. So was the case with postmeal blood glucose (33). According to a study, high dose intravenous vitamin C can be effective in treating allergies. In the past, such doses were used to treat infections like measles, herpes, mumps, and viral pneumonia. This shows the efficacy of vitamin C as an antibiotic (34). Also, since vitamin C is an antioxidant, it combats the harmful free radicals and helps treat viral infections. A high dose of vitamin C was also found to aid in the treatment of mononucleosis (an abnormally high proportion of white blood cells that causes glandular fever) (35). It also fights the free radicals (as already discussed) that might lead to mononucleosis. Though rare in today’s world, scurvy can affect people who don’t consume enough of vitamin C (36). And the side effects of the vitamin are rare, even when ingested in high quantities. In fact, vitamin C was used for this purpose for more than 300 years. Sailors on a long voyage used to include lime juice in their rations to protect themselves from scurvy (37). Scurvy can be prevented with as little as 10 grams of vitamin C daily (38). Low levels of vitamin C in the bloodstream are often associated with high levels of lead. Regular vitamin C supplementation was found to reduce blood lead levels in smokers (39). Another study suggests that vitamin C can alleviate lead toxicity (40). And foods high in vitamin C are safe and help prevent lead poisoning. However, certain studies say taking vitamin C may not have any effect on lead toxicity (41). Eating foods rich in vitamin C can prevent stroke, and in particular, hemorrhagic stroke. Vitamin C can combat stroke by reducing blood pressure. Low levels of vitamin C can also increase the risk of spontaneous brain hemorrhages (42). Vitamin C, along with iron, can help cut stroke risk. Also, as per a study, people with high levels of vitamin C in their blood could reduce their stroke risk by 42% (43). Studies on hospitalized patients have proved that taking adequate amounts of vitamin C can improve mood. It has mood-elevating effects (44). Vitamin C supplementation was also found to reduce anxiety in students (45). Getting adequate vitamin C increases the oxidation of body fat during exercise. Hence, a deficiency of vitamin C can hinder weight and fat loss (46). Vitamin C also enhances metabolism, and this aids weight loss. Vitamin C was found to help you push through the pain barrier and eliminate fatigue. Supplementing vitamin C had also made the training of school footballers about 10% easier and reduced fatigue by as much as 55%. In another Korean study, vitamin C had significantly reduced work-related fatigue in healthy employees (47). Vitamin C supplementation was also found to improve physical activity levels in men who had marginal vitamin C status (48). The benefits of vitamin C extend to the skin too. For instance, in addition to oral consumption, you can also use vitamin C topically (like a serum) and reap the benefits. The serum stimulates collagen and protects the skin from other damaging factors like pollution. 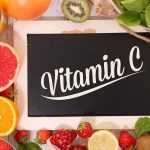 Preliminary evidence suggests that vitamin C can improve wound healing and reduce the requirement of ventilation in patients with severe burns. The antioxidants in vitamin C also help treat burn lesions (49). A high dose of vitamin C also reduces capillary leakage post a burn injury (50). And since vitamin C supports new tissue growth and skin, it works wonderfully well to heal burns and wounds. The antioxidant properties of vitamin C play a role in collagen synthesis, and they help in treating sunburn. Oral vitamin C intake or topical application of vitamin C oil can help improve the condition. But it is important to note that vitamin C must only be used as an addition to sunscreen, not a replacement. 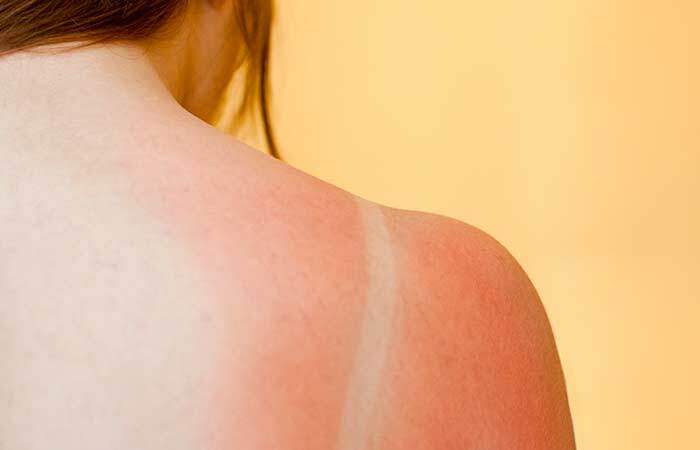 Vitamin C was also found to reduce the effects of UVB-induced erythema (superficial reddening of the skin). One good way to treat eczema is a combination of vitamin C and zinc – taking 500 to 1000 mg of vitamin C and 15 mg of zinc every day can act as a potential cure (51). 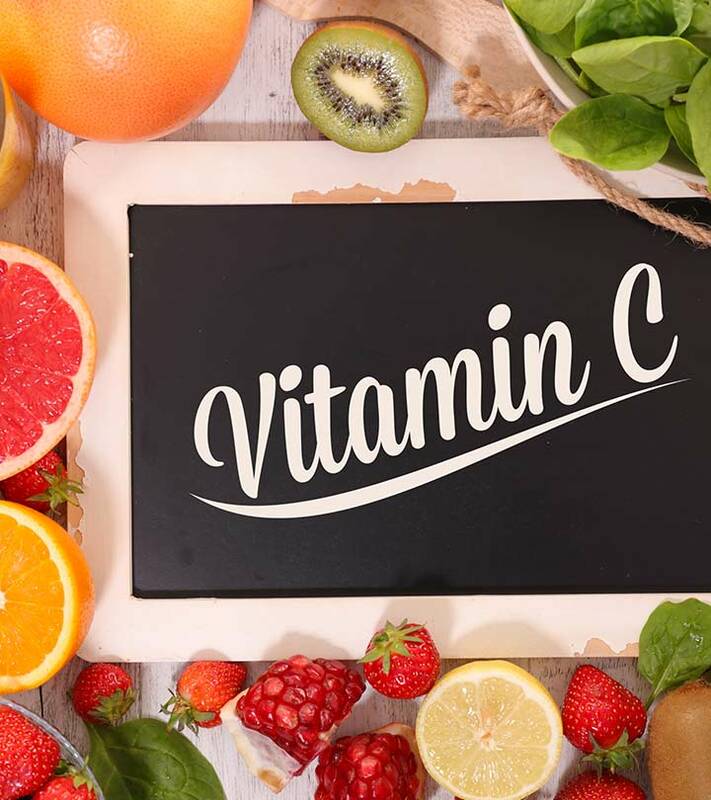 Vitamin C is a required component for the production of hydroxyproline and hydroxylysine, both of which are needed to bind the molecules that produce collagen. This, in turn, firms and tones the skin. Collagen deficiency makes the skin dull and lifeless. Collagen rejuvenates the skin from the roots and reduces wrinkles and symptoms of aging. Vitamin C protects DNA from photochemical reactions that can lead to tumor, skin discoloration, and several kinds of skin cancer. It also inhibits the production of pyrimidine dimers that are the primary cause of melanomas in humans. It lightens dark discoloration like skin freckles and age spots and helps you get younger and smoother skin. Collagen also provides the structure for the blood vessels. The tiny blood vessels under the skin carry oxygen and nutrients that keep the skin healthy. Without enough nutrients, the skin will become rough and dry. Creams containing Vitamin C improve the appearance and texture of the skin. Vitamin C increases the formation of elastin, which thickens, protects, and heals the skin cells. The thickening effect helps retain moisture, increases the skin circulation, and plumps up the skin surface. Surprisingly enough, vitamin C does have benefits for your hair too! Low intake of Vitamin C may be a root cause for a number of hair-related problems that affect our hair growth. Vitamin C deficiency may result in dry hair and split ends. These conditions are unfavorable for the regular growth of hair and eventually lead to hair loss. When our body turns food that we consume into glucose for energy production, free radicals are naturally formed. These free radicals damage our hair by making it weak, brittle, and thin, which interrupts hair growth. Vitamin C’s antioxidant properties reduce the formation of free radicals and minimizes their effect on our body. Having an adequate supply of Vitamin C in our diet is essential for antioxidant protection against free radicals. People who take huge amount of vitamin C have healthy, strong, and thick hair. 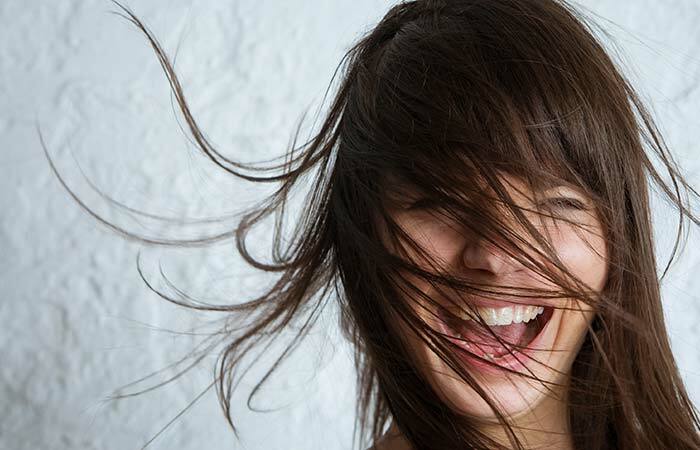 Our hair follicles often get clogged due to dandruff and dry, flaky skin. This can damage the hair follicles and also inhibit hair growth. Vitamin C helps fight the bacteria on the scalp. It wards off dandruff, helps to get rid of the follicles’ debris, and encourages the growth of new hair. It also helps with dry and itchy scalps because of its antiviral properties. Vitamin C not only helps combat hair loss but also helps retain the natural color by preventing the premature aging of hair. However, there is limited research on this. The benefits are immense, aren’t they? But what good would they be if one doesn’t know the sources of this vitamin? There are numerous foods right in your kitchen that are excellent sources of vitamin C. These include chilli peppers (108 mg of vitamin C per 1 cup serving), bell peppers (120 to 190 mg), broccoli (132 mg), kale (80.4 mg), papaya (88.3 mg), strawberries (84.7 mg), cauliflower (127.7 mg), mango (122.3 mg), pineapple (78.9 mg), lemon (112.4 mg), orange (95.8 mg), rosehips (541 mg), and kiwi (137.2 mg). Vitamin C supplements usually contain the vitamin in the form of ascorbic acid (it has equivalent bioavailability to that of ascorbic acid that occurs naturally in foods). 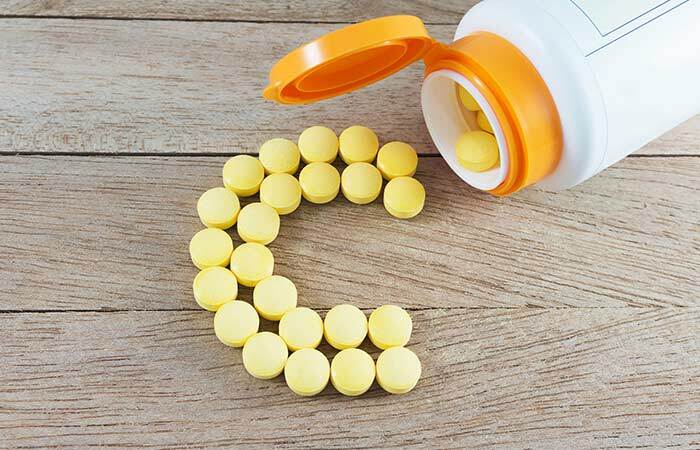 Some popular vitamin C capsules or tablets include Poten Cee, Cshine, Vcne, Redoxon, and Celin 500. These supplements have benefits for the skin (face, especially) and overall health as well. Even a vitamin C injection (liquid vitamin C) or, in other words, intravenous vitamin C, can have similar benefits. Intravenous vitamin C delivers a much larger dose than the oral dose and is used for skin, immune system and also as a complementary treatment in cancer patients. Other forms include vitamin C drops, crystals, or the powder (for the skin). One can even use vitamin C cream for the skin. All great. But one must also know how to take vitamin C.
The best way to take vitamin C is by including the foods rich in the vitamin in your diet. Most fruits and vegetables contain this vitamin – so you can have a regular fruit or vegetable salad and rest assured. Even a glass of juice or smoothie would work wonders. But if you really don’t have the time to prepare a salad for yourself, you can go for supplements. Depending on the dosage, you can take a vitamin C supplement 2 to 3 times a day – with your meals. You may also take it on an empty stomach, as some research says that is when vitamin C absorbs better. Talk to your doctor or nutritionist to determine the right dosage for you. A result constant innovation in the field of medicine is what we now call liposomal vitamin C. Liposomal technology is used to enhance the absorption of the nutrients. Liposomal vitamin C offers bioavailability advantages over OTC supplements – the phospholipids it contains forms liposomes in the stomach when mixed with water. These liposomes increase the rate of absorption (52). And as per most experts, this is the best form of vitamin C.
For men more than 18 years old, the amount of vitamin C to be taken daily is 90 mg. For women over 18 years of age, it is 75 mg. And for pregnant and breastfeeding women more than 18 years old, it is 85 mg and 120 mg respectively. As per some experts, smokers must add an extra 35 mg to their regular intake. For infants (0 to 12 months old), it is the amount of vitamin C in human milk. For children 1 to 3 years old, it is 15 mg; 4 to 8 years old is 25 mg; 9 to 13 years old is 45 mg.
For adolescents (14 to 18 years old), the recommended intake is 75 mg for boys and 60 mg for girls. Though these are the RDA levels, your doctor might recommend a much higher dose for therapeutic purposes. However good anything might be, one must exercise precautions. So is the case with vitamin C.
Vitamin C might cause abdominal cramps, dental erosion, chest pain, faintness, diarrhea, flushing, headache, heartburn, nausea, and an inflamed esophagus. Stop its use and consult your doctor if you notice any of the symptoms. High dose of vitamin C can lead to vitamin C toxicity, causing blood clots, kidney stones, and problems with the digestive system. This is especially true in people with G6PD deficiency, which is a condition where red blood cells break down in response to certain medications and infections. Vitamin C is considered safe in normal amounts during pregnancy and breastfeeding – but practice caution when using more than the recommended dosage. Though the deficiency of vitamin C is rare, no way does it mean that you can ignore it. You just saw its benefits, didn’t you? Ensure you get the adequate levels. Stay healthy. And tell us how this post has made your day better. Do comment in the box below. Can I take vitamin C daily? Yes. You must. Either in the form of foods or supplements. Is it fine to take 1300 mg of a vitamin C supplement daily? Any dose higher than the recommended values must be taken only after consultation with a doctor. Is the sun a good source of vitamin C? What is the right time to take a vitamin C supplement? With or after a meal for better absorption. And preferably in the mornings. Vitamin C is water-soluble, and it absorbs best on an empty stomach, i.e., before breakfast. However, taking it after a meal doesn’t cause any side effects. What is a vitamin C shower? Nowadays trending in luxury hotels, a vitamin C shower is nothing but shower water enhanced with the nutrient. It leaves the individual with healthier hair, skin, and nails – as claimed. Does vitamin C serum work for acne? Yes. It can reduce inflammation and even treat acne scars. “Vitamin C and Heart Health: A Review Based on Findings from Epidemiologic Studies“. University of Connecticut, USA. 2016 August. “Is Vitamin C as Good as Exercise for Your Heart?“. Dr. Mercola. 2015 September. “Vitamin C Rich Fruits Can Prevent Heart Disease“. All India Institute of Medical Sciences, India. 2013 July. “Vitamin C supplementation lowers serum low-density lipoprotein…“. National University of Health Sciences, USA. 2008 June. “Big Doses of Vitamin C May Lower Blood Pressure“. Johns Hopkins Medicine. 2012 April. “Lower Your Blood Pressure With Vitamin C“. Dr. Mercola. 2009 January. “Extra Vitamin C May Help Lower Blood Pressure“. WedMD. 2012 April. “Vitamin C improves endothelium-dependent vasodilation…“. University of Pisa, Italy. 1998 June. “[Vitamin C and immune function]“. Institut für Lebensmittelwissenschaft und Okotrophologie, Germany. 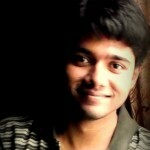 2009 February. 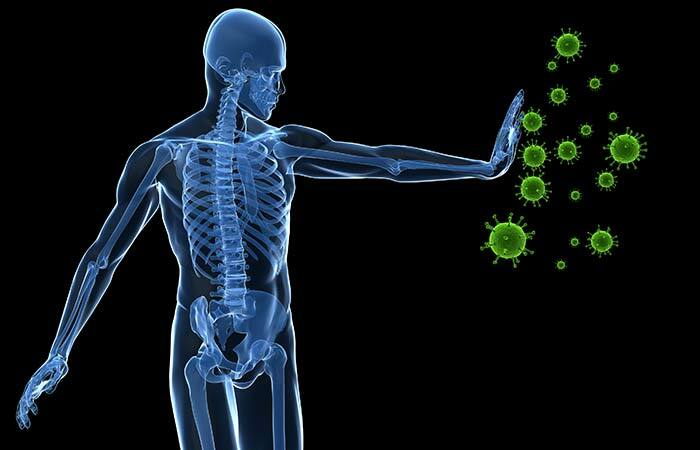 “Ascorbic acid: its role in immune system and chronic inflammation diseases“. Istituto Nazionale Per Lo Studio E La Cura Dei Tumori “Fondazione Giovanni Pascale”, Italy. 2014 May. “Vitamin C in Disease Prevention and Cure: An Overview“. All India Institute of Medical Sciences, India. 2013 October. “Vitamin C and human wound healing“. US National Library of Medicine. 1982 March. “Vitamin C and colds“. US National Library of Medicine. “Asthma and vitamin C“. UMD-New Jersey Medical School, Newark. 1994 August. “High-Dose Vitamin C (PDQ®)Patient Version“. National Cancer Institute. “The Effects of High Concentrations of Vitamin C on Cancer Cells“. Dongduk Womens University, Korea. 2013 September. “Vitamin C halts aggressive colorectal cancer: study“. Cornell University. 2015 November. “The Right Amount of Vitamin C“. Arthritis Foundation. “Vitamin C May Fight Rheumatoid Arthritis“. WedMD. 2004 June. “Excess Vitamin C May Worsen Osteoarthritis“. WebMD. 2004 June. “Vitamin C“. American Optometric Association. “Vitamin C Helps Protect Your Vision From the Leading Cause of Blindness“. Dr. Mercola. 2016 April. “Nutrients for the aging eye“. Lesley University, Cambridge, USA. 2013 June. “Uveitis“. Milton S. Hershey Medical Center. “Vitamin C and E supplementation in women at high risk for preeclampsia…“. Tufts-NEMC, Boston, Mass, USA. 2005 February. “Micronutrient Needs During Pregnancy and Lactation“. Oregon State University. “Vitamin C and oral health“. US National Library of Medicine. 1989 September. “Nutrition for you: Vitamin C“. Michigan State University. 2015 November. “Autoimmune disease and allergy are controlled by vitamin C treatment“. Kodama Research Institute of Preventive Medicine, Japan. 1994 March. “Association of Antioxidants With Allergic Rhinitis…“. Korea Cancer Center Hospital, Korea. 2013 March. 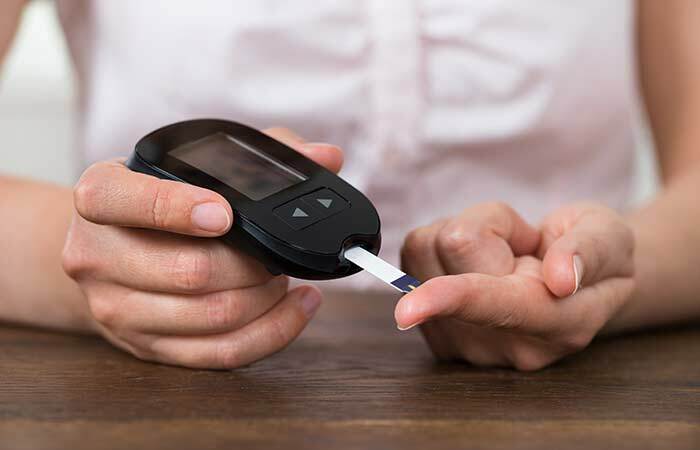 “Effect of vitamin C on blood glucose, serum lipids & serum insulin in type 2 diabetes patients“. Shahid Sadoughi University, Iran. 2007 November. “Diabetes mellitus is controlled by vitamin C treatment“. Kodama Research Institute of Preventive Medicine, Japan. 1993 December. “Supplementation of Vitamin C Reduces Blood Glucose and Improves Glycosylated Hemoglobin…” Indira Gandhi Government Medical College, India. 2011 December. “High-dose Intravenous Vitamin C as a Successful Treatment of Viral Infections“. Riordan Clinic. “Effect of high dose vitamin C on Epstein-Barr viral infection“. Bio-Communication Research Institute, Riordan Clinic, USA. 2014 May. “Vitamin C: from scurvy to the common cold“. US National Library of Medicine. 1983 January. “Vitamin C and Scurvy“. UMassAmherst. “Vitamin C“. Oregon State University. “Vitamin C Levels Linked To Amount Of Lead In Blood“. University Of California, San Francisco, USA. 1999 June. “Evaluation and management of lead exposure“. Inha University Hospital, Republic of Korea. 2015 December. “Effect of Vitamin C Supplementation on Blood Lead Level…“. Krishna Institute of Medical Sciences Deemed University, India. 2016 April. “Can Vitamin C Ward Off Stroke?“. WebMD. 2014 February. “Can vitamin C improve your mood?“. MayoClinic. “Effects of Oral Vitamin C Supplementation on Anxiety in Students…“. US National Library of Health. 2015 January. “Strategies for healthy weight loss…“. Arizona State University, USA. 2005 June. “Vitamin C may help reduce fatigue“. Daily Herald. “Vitamin C supplementation slightly improves physical activity levels…“. Arizona State University, USA. 2014 July. “Role of Antioxidants in the Treatment of Burn Lesions“. Al-Nahrain College of Medicine, Iraq. 2008 December. “High-dose vitamin C treatment reduces capillary leakage after burn…“. University of Heidelberg, Germany. 2010 June. “Is there a natural cure for eczema?“. DailyMail. “Beware: Many Vitamin C Supplements Contain These 6 Red Flags…“. Dr. Mercola. Want to increase your vitamin E intake by making a few minor adjustments to your diet. Here are top 24 vitamin E rich foods in this post. Read to know more. Jackfruit is the largest fruit in the world and is packed with vitamin B, potassium, and protein. Read on to know all the multiple and crucial benefits of jackfruit. Beauty is skin deep. And hence it is important to take care of it from the inside. What you put on your plate naturally shows on your skin. What if I tell you that you can get glowing, soft, and dewy skin without using any makeup? Read on to know more about the 5 essential vitamins for healthy and glowing skin.